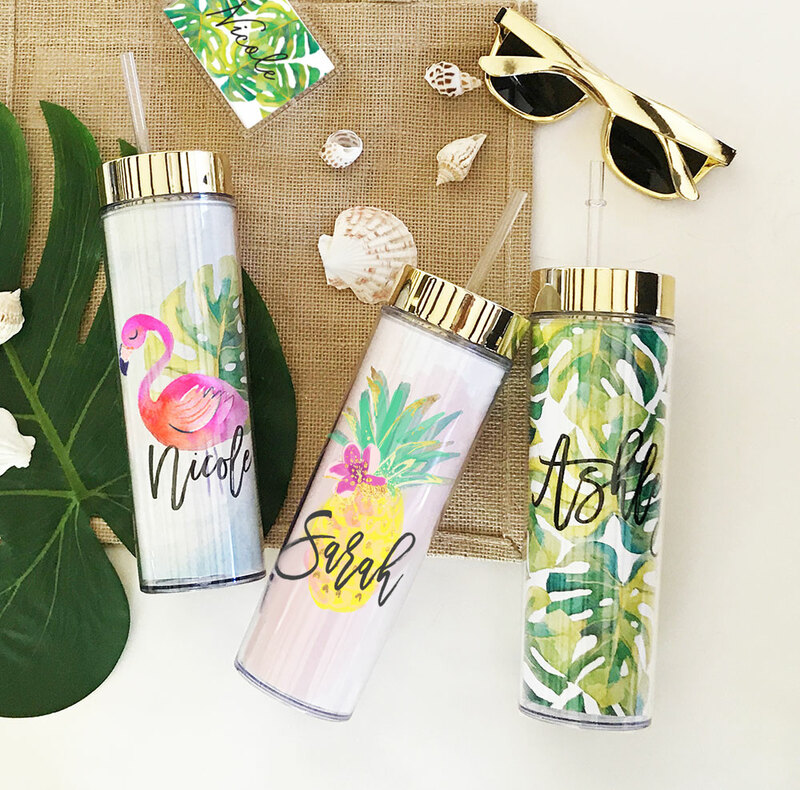 Tropical beach tumblers with personalized names. 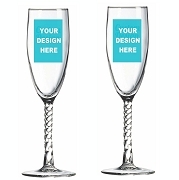 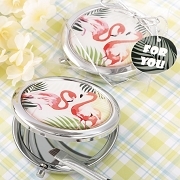 These are stylish and practical gift for your bridal party pachelorette party and destination beach weddings! 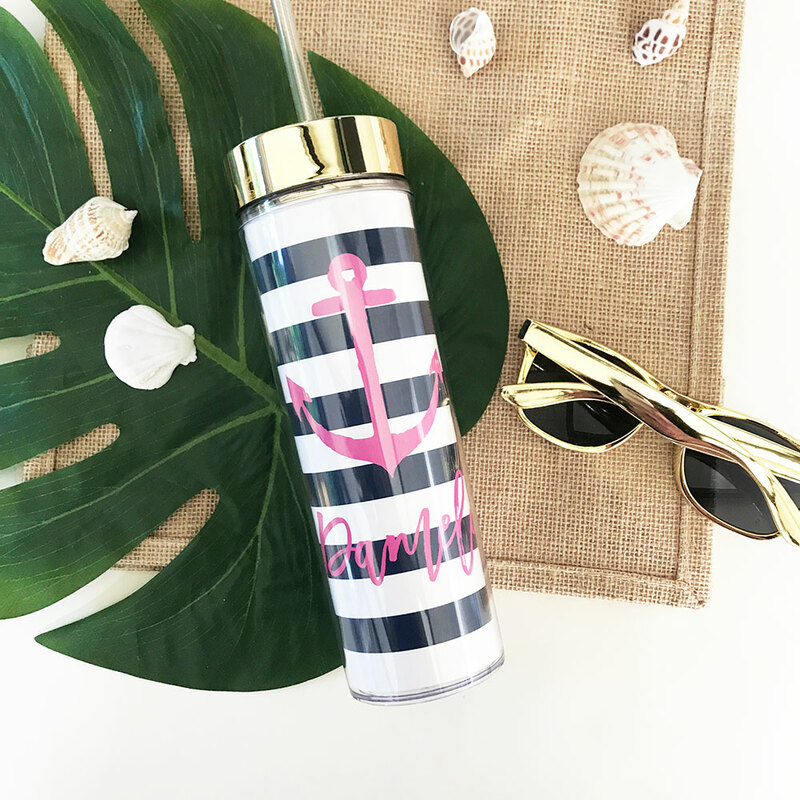 Personalized Acrylic Water Bottles come with a gold lid and your choice of tropical design and custom names.